We have been very fortunate to have had the guidance and support of many people in the work that we do at Children's Ground. Pat Cash is an Australian tennis champion, having won the men’s singles at Wimbledon and achieved a world ranking of No.4. Pat co-founded Planet Ark, the Australian environmental organisation behind initiatives like National Tree Day. Pat also co-founded Do Something, a non-profit bringing business, government and the community together to create social and environmental impact. He lives in the UK and has been travelling the world coaching, competing and commentating for the past 30 years. Pat has emerged as a passionate advocate for social justice for First Nations peoples, particularly Arrernte Elders he has spent time with in Central Australia. In March 2014 Jan received the degree of Doctor of Letters (honoris causa) from the University of Sydney, in recognition of her significant contribution to young people and policy in Australia. In 2012, Jan was named the inaugural Australian Financial Review & Westpac Group ‘Woman of Influence 2012’. In 2000 she was awarded membership of the Order of Australia for services to children and young people and in 1999 received a fellowship for leadership and innovation to the Peter Drucker Foundation in the US. Jan is the author of Every Childhood Lasts a Lifetime (1996) and The Future Chasers (2014). Before joining FYA, Jan was Executive Director of Social Ventures Australia, which aims to increase the impact of the Australian social sector. Prior to this, Jan founded the Create Foundation, the national consumer body for children and young people in out of home care. Jan has contributed to the establishment of many social change organisations in Australia and served on a wide range of Boards. 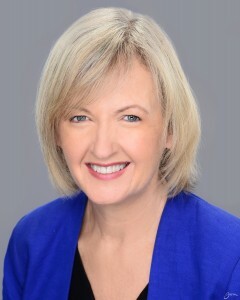 She is currently Board Director, Australian National Development Index (ANDI); Chair, Bridges to Higher Education Partners Advisory group; Member, RMIT College of Business Industry Advisory Board; Chair of Advisory Board, Melbourne Social Equity Institute (University of Melbourne) and Patron of Vanish. M. Kemarre Turner is a respected Eastern Arrernte elder, cultural adviser, translator, teacher, social justice champion, artist and author. 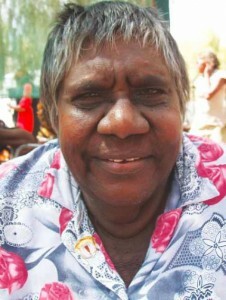 In 1997 she was awarded the Medal of the Order of Australia for her service to the Aboriginal community of Central Australia, particularly through preserving language and culture and interpreting. She was born in Harts Range region, north-east of Alice Springs. She is recognised across the region as a ‘Professor’ – a holder of customary law, practice and knowledge. She is a qualified language interpreter and has taught language and culture and a cross-cultural courses in Alice Springs for 30 years. Ms Turner was one of the founders of Irrkelantye Learning Centre, focusing on intergenerational learning for Arrernte people. She also founded Ingarte Mikwekenhe. She is an elder to the board of Akeyulerre, a Healing Centre in Alice Springs dedicated to Arrernte culture and practice in traditional healing and wellbeing. She is Anangkere (Traditional Healer), law woman and leader. She has fought for the rights of Aboriginal people for over four decades and continues to fight for these rights today. 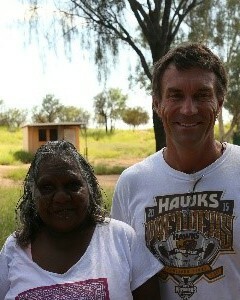 She is dedicated to keeping Arrernte culture, life and language deep and rich for future generations. MK Turner is also a celebrated artist and author and has written three books. Bushfoods and Everything Comes from the Land were published in 2005. Her latest book, Iwenhe Tyrrtye – what does it mean to be an Aboriginal person? was published in 2011. Listen to an ABC interview with MK Turner from 2013 (mp3). Rt Hon Malcolm Fraser served as Australia’s 22nd Prime Minister from 1975-1983 after 28 years as the Federal Member for Wannon. Since leaving government Mr Fraser played an eminent role in international relations including chairing the United Nations hearing in New York, Co-Chairman of the Commonwealth Committee of Eminent Persons in 1989 and Chairman of the United Nations Committee on African Commodity Problems. Mr Fraser was Chairman of CARE Australia from 1987-2001 and President of CARE International from 1990-1995. Mr Fraser was a Senior Advisor of the International Crisis Group, Honorary Chairman of InterAction Council and a member of the Asia Pacific Leadership Network for Nuclear Non-Proliferation and Disarmament. 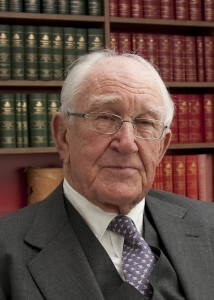 Mr Fraser received numerous Honorary Degrees and Awards, including an Honorary Doctor of Laws in 2011, at University of Melbourne. He wrote three books, Common Ground in 2002, Malcolm Fraser the Political Memoirs with Margaret Simons in 2010 and Dangerous Allies with Cain Roberts in 2014. 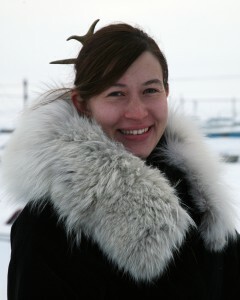 Rachel Naninaaq Edwardson is an Iñupiaq filmmaker and educator whose work has been critically acclaimed in the US, Canada, Australia and Europe. Her ongoing History of the Iñupiaq documentary series, produced in partnership withthe North Slope Borough School District, is the first Native produced and directed documentary series in Alaska,celebrating and validating the culture, land and strength of Iñupiaq people. Since 2007 Rachel has been an advisor and program designer of educational initiatives and reforms in Australia and Alaska.